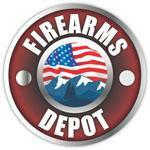 Firearms Depot is an FFL here in Flagstaff, AZ that offers many products and services. As well as doing transfers for locals, I offer a consignment program for people wanting to sell their firearms through a larger audience than being placed in a case at a local gun store. I also have a large network of Hk collectors I represent for buying and selling. Contact me if you have or are looking for the collectible Hk firearms and parts. I also import Sig Sauer Mastershop X-Series pistols and parts. Thanks for looking and feel free to contact me at 928.522.6466 or 602.758.0202 if you have any questions.